Measuring Success:: How Good Am I? 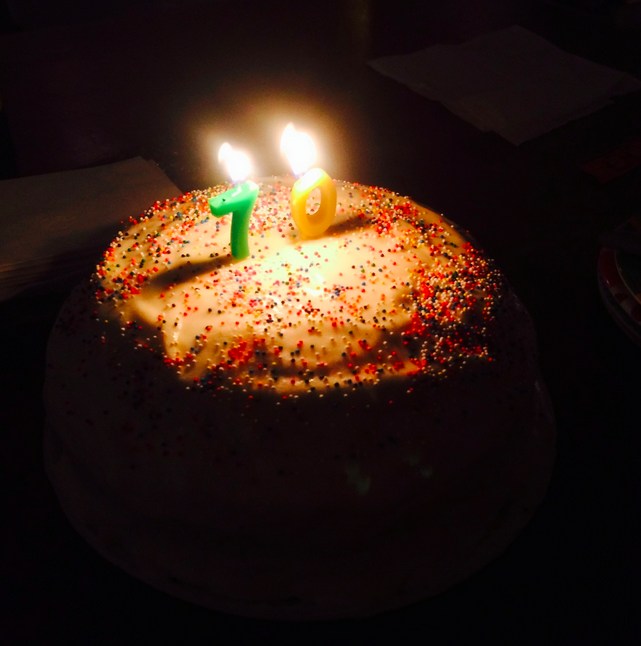 My father just turned 70. Birthdays make me think a lot about timelines and transitions and mostly – am I getting where I want to go? Where is it I want to go? Am I doing a good job? What is my job? What am I doing? Whats the point? How do you define success as a creative entrepreneur? There is no boss to give you a raise. There is no one to tell you you are doing a good job. You are alone at your desk, most of the time. Or in your studio. Or on the road. Maybe you are surrounded by people. But in the end, there is just you and no accepted measure of your success. Are you richer than last year? Are you more fulfilled? How do you measure fulfillment? It's different each day, isn't it. Some days there is GLORY and you are soaring high. Some days you are in the trenches. SO how to measure without all the subjectivity? Are you attaining your goals? Are you in alignment with what you value? What ARE your goals? And, what do you value? These are the two core questions that are worth your introspection. I promise. It doesn't take long. And it will be so very worth it. Every time you begin to spiral down the measurement alley, just ask yourself: Am I attaining my goals? Am I acting in accordance to what I value? The answer will point you in the right direction. Now walk the path. One step at a time. When You Just Don't Wanna:: Tips On How To Start, or not.